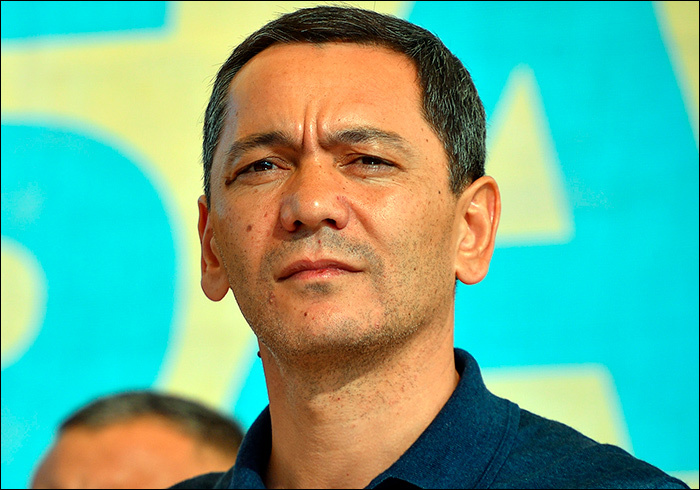 Omurbek Babanov has decided to leave the post of leader of the "Respublika Ata Jurt" (RAJ) parliamentary faction, according to a statement released by him, which was read on 13 November at an extraordinary meeting of the faction. In his statement, Babanov said, "The work of the Republic Party and the parliamentary faction of "Respublika Ata Jurt" should be conducted more cohesively and intensively for the successful implementation of bills and changes in social and economic policy," the RAJ secretariat reports. As the Kaktus news agency reports, Babanov offered Ruslan Kazakbaev, his closest associate, the position of RAJ leader, but a number of members of parliament opposed the move. A new leader will be elected at one of the next meetings of RAJ. RAJ is the second largest parliamentary faction, represented by 28 members of parliament. Babanov finished second in the presidential election of Kyrgyzstan on 15 October, gaining 33.49 per cent of the vote. He accused law enforcement agencies of interfering in the voting, pointed out violations in additional areas and indirectly noted the use of administrative resources by the authorities. On the morning of 4 November, it became known that criminal proceedings had been initiated against Babanov: the Kyrgyz Prosecutor General's Office suspects him of crimes stipulated under charges of the Criminal Code, such as, "Public calls for violent change of the constitutional order" and "Invoking national, racial or religious hatred." At the same time, the prosecution relied on a video of Babanov's meeting with the residents of the Amir-Timur ("On-Adyr") micro-district in the city of Osh, who were mostly ethnic Uzbeks. A few days before the criminal proceedings, the incumbent President of Kyrgyzstan, Almazbek Atambayev said, "With pain in his heart he watched as another instigator, a politician for the sake of his selfish interests said provocative things." On 10 November, the RAJ faction initiated a temporary parliamentary commission to oversee Babanov’s case, which they consider to be political, and damaging for democracy and political freedom. According to a Kaktus news agency source in the Border Guard Service of Kyrgyzstan, Babanov left Kyrgyzstan on a Bishkek-Moscow flight on 23 October. There are still no reports about his whereabouts.